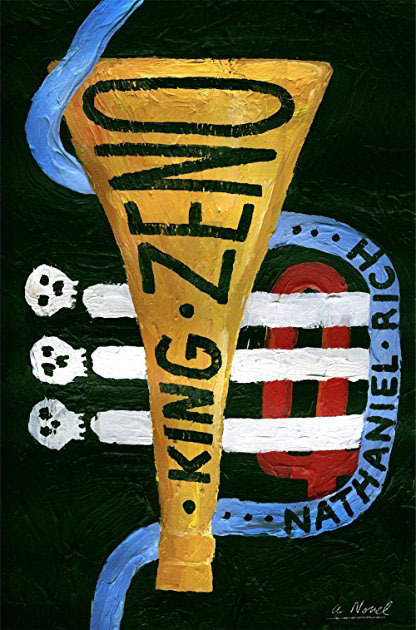 Nathaniel Rich didn’t intend to write a novel set in New Orleans, but “King Zeno” insisted on being told. Writing the novel “became inescapable” after moving to the city in 2010, Rich said. Set in 1918, the historical crime novel features three individuals from different parts of the city, whose fates are intertwined by a series of major events in the city’s history. While writing that book, he was quietly working on his first novel, “The Mayor’s Tongue,” which was published in 2008 and is set in New York City and Italy. Rich was fiction editor of Paris Review from 2005 to 2010 and has had his short fiction published in numerous venues. He is a writer-at-large for the New York Times Magazine and writes regularly for the Atlantic and the New York Review of Books. But New Orleans was also her top choice, and shortly after San Diego expressed interest, New Orleans came through, and she started working for the Orleans Public Defenders office. She is now a staff attorney at the New Orleans office of the Southern Poverty Law Center. Rich’s second novel, “Odds Against Tomorrow,” was written while he was in San Francisco and mostly done when he moved to New Orleans. Set in the New York of the “near future,” it describes a mysterious consulting firm that calculates and insures against worst-case scenarios, whether ecological, war or natural disasters — and then an actual “worst case” hits Manhattan. Hurricane Sandy hit New York right before the book was published, but long after he had finished writing it. “Readers would ask if this was my response to Sandy,” which struck on Oct. 29, 2012, but he told them it was “a strange coincidence,” as it takes him five or six years to finish a book. In his research for the book, he studied disaster scenarios and predictions from the Army Corps of Engineers and the Office of Emergency Management, and they turned out to be very accurate when Sandy hit, leading many to erroneously assume he wrote the book after Sandy. In New Orleans, though, “people took it as a novel about Katrina, disguised as New York.” He said each reader “brings his or her own context to any work of literature” and both perspectives are valid. For his third novel, Rich moved from the near future to 100 years in the past, with the book set during the year of New Orleans’ 200th anniversary, and being released as New Orleans starts celebrating its 300th anniversary. Rich became fascinated with the story of the Axeman, a serial killer who started his spree in May 1918, terrorizing the city with late-night home invasions and hacking victims in their beds. On the appointed night, New Orleans was filled with the sounds of jazz, and there were no killings. Months later, though, a handful of further attacks commenced, ending for the final time in October 1919. The Axeman was never identified or caught. Also at the time, the Industrial Canal was being built in New Orleans, part of the “fact of life in New Orleans… grappling with a natural landscape that in many ways is inhospitable.” While he said the canal was hailed at the time as the second coming of the Panama Canal, it also “carried the seeds of doom” in hurricanes that have hit the area since then. While “King Zeno” is set 100 years in the past, authentic detail was still vital, because “so much of the city looks the same as it did then.” He added that he is living in a house built 30 years before the setting of the novel. Usually, there is “safety” in writing about times long past, but in New Orleans “a lot of the settings I’m describing are still there.” Studying the character of the city in 1918, he found it to be “instantly recognizable” as the New Orleans of today. A tremendous resource was the “incredible interviews” at the Friends of the Cabildo. Begun in 1972, the oral history project interviewed many people who were alive in the 1910s. The interviews are on tape and “very few are transcribed,” but “I was able to get a wealth of detail” about life in 1918. Rather than ask about historical events, the interviewers concentrated on “the mechanics of daily life” that added a “richness” to the narrative. The book’s launch event will be on Jan. 9 at 6 p.m. at the Garden District Book Shop. Among his upcoming appearances are Jan. 30 at 5 p.m. at Lemuria Books in Jackson, Miss., Jan. 31 at 5:30 p.m. at Turnrow Book Co. in Greenwood, and with Thacker Mountain Radio at Off Square Books in Oxford on Feb. 1 at 6 p.m. He will also be at the Tennessee Williams/New Orleans Literary Festival in New Orleans on March 24.